Specializing in figure sculpture and drawing, puppetry, and computer modeling and animation, Thom Haxo is an imaginative artist and associate art professor hailing from Wayne, New Jersey. He currently teaches at Hampshire College in Massachusetts, where his courses include Sculpture, In Search of Character, Sequential Imagery, and Introduction to Three-Dimensional Design. Haxo was a finalist in the 2001 Harold Connolly Memorial competition, the 2001 Sojourner Truth Memorial competition, and the 1988 Dr. Martin Luther King, Jr. Memorial competition. He also received a commendation in the 1985 Youth Awards Competition held by the National Sculpture Society in New York. Haxo’s commissioned sculpture for the James Brendan Connolly Memorial currently stands in Columbus Park in South Boston. His works have been exhibited at the Holter Museum of Art (MT), Sharon Art Center (NH), Boston Public Library – Alston Extension, Hampshire College (MA), and the Northampton Center for the Arts (MA), amongst other galleries. 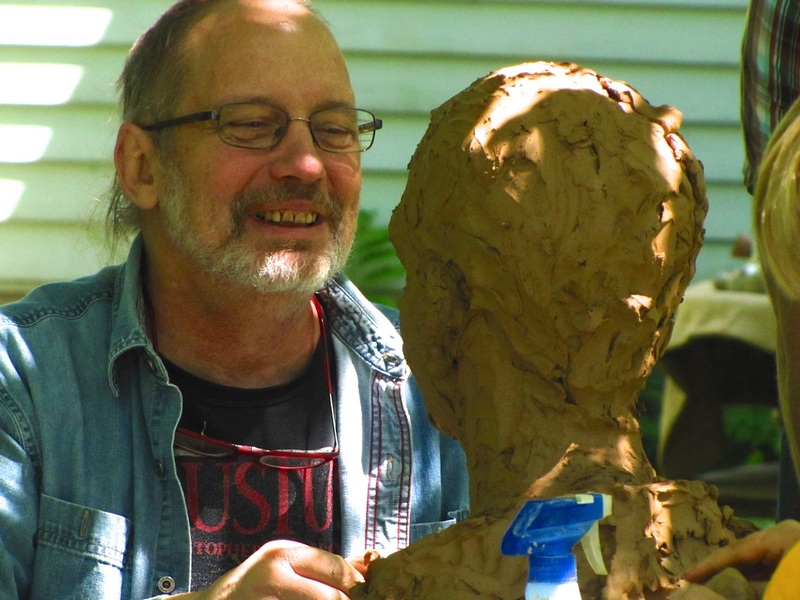 Haxo has worked on set, puppet, and mask design for the last seventeen years. Projects he has worked on include The Skriker by Caryl Churchill, I Stand Before You Naked by Joyce Carol Oates, and The Millennium Two-Step, a collaboration with Peter Lobdell and Charles Ditto. Most recently, he has worked with Lobdell and Ditto on Noveto, a collaborative project for which he created digital imagery and animation. Haxo received a B.F.A. from Pratt Institute and an M.F.A. from the University of Pennsylvania. He currently lives in Haydenville, Massachusetts, with his wife, Anne, his dog, Max, and his cats, Minerva (Mimi) and Moose. He recently collaborated with his daughter, composer Cara Haxo, creating a work for digital imagery and fixed electronic music entitled Naufrage. After receiving its premiere at Butler University (IN) in March 2015, the video has since been selected for the Root Signals Electronic Music Festival at the University of Jacksonville (FL), the Exhibitronic V Festival in Strasbourg, France, and the Studio 300 Festival of Digital Art and Music BYTE Gallery at Transylvania University (KY).